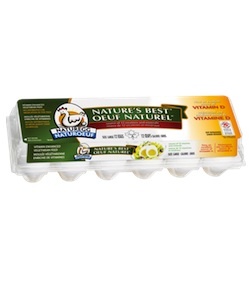 You can use other coupons to save additional money on Naturegg Nature’s Best Eggs. I didn’t find any other Naturegg Nature’s Best Eggs coupons to use. SnapSaves offer is limited so claim your cash rebate soon. You can download the SnapSaves coupon app for free or just browse their site to see their current offers. You can visit their site here. Each offer has different expiration dates and some have limited quantities so make sure to check the SnapSaves website or coupon app to ensure that you are purchasing an item that still has rebates still available. A list of their current offers this week can also be found here. SnapSaves cash rebate offers are valid only in Canada. Offers are available in limited quantities. A quantity of 1 of this offer is eligible for cash back per member per week Sept 25 – Oct 2, 2013.